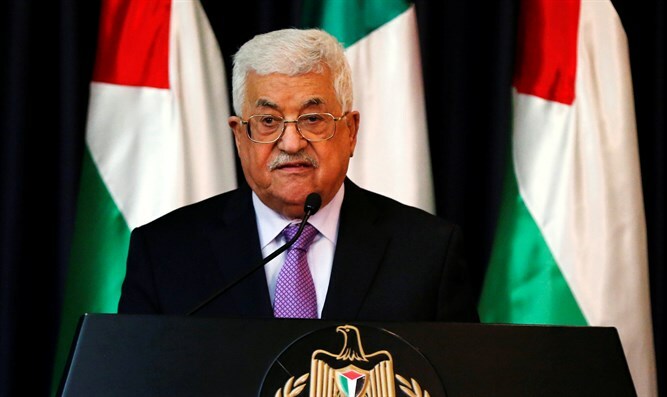 Hamas officials accuses PA of policy of political arrests in an attempt to disguise an attempt to reconnect with the Americans. Hamas is demanding that the Palestinian Authority (PA) stop persecuting university students in PA-assigned areas of Judea and Samaria and immediately release all detainees held in the Palestinian security services’ prisons. Husam Badran, a member of the Hamas political bureau, said on Wednesday in a message addressed directly to the Palestinian Authority that "the continuation of the political arrest campaigns contradicts the PA's claims regarding its active resistance to the American peace plan." "The only way to deal with this plan is to stop the security coordination with Israel and give the Palestinians a green light to confront the Israeli army," Badran said. He called upon university administrations in Judea and Samaria to intervene and help students by providing protection to them against any outside interference on campus. Hamas earlier this week accused the PA of harming the interests of the Palestinian people, claiming that its resistance to ending the punitive measures against Gaza "weakens the foundations of the Palestinian people's steadfastness” in dealing with the American “Deal of the Century”. In April of 2017, PA chairman Mahmoud Abbas announced a series of economic punitive measures against the Gaza Strip in an attempt to force Hamas to cancel the executive committee of the Gaza Strip, which acted as a sort of local government and to soften its position on the reconciliation talks. The accusations are a continuation of the ongoing tensions between Hamas and Fatah, which began when Hamas violently took over Gaza in a bloody coup in 2007. Hamas is trying to incite the Palestinian public residing in PA-assigned areas of Judea and Samaria against the Palestinian Authority by exploiting the so-called “March of the Return” processions and protests against the punitive measures. It appears as though Hamas' real goal is to undermine the PA's authority and pave the way for Hamas's takeover of PA institutions in Judea and Samaria, similar to the way it took over Gaza in the summer of 2007.